When feisty wife Lisa (Anne Heywood) leaves him, fashionable gynaecologist Paul Vernon (Tony Britton) drowns his sorrows and ends up spending the night with Frenchwoman, Tina Monet (Nicole Perrault). When Tina is evicted from her lodgings, Paul persuades his housekeeper, Mrs Webster (Marie Kean) , to employ Tina as a maid. Soon after, Lisa, who has discovered she is pregnant, returns to reconcile with Paul, only to meet Tina who has discovered she is also pregnant. A complicated plot to cherish the fruit of Paul’s fertile loins ensues. 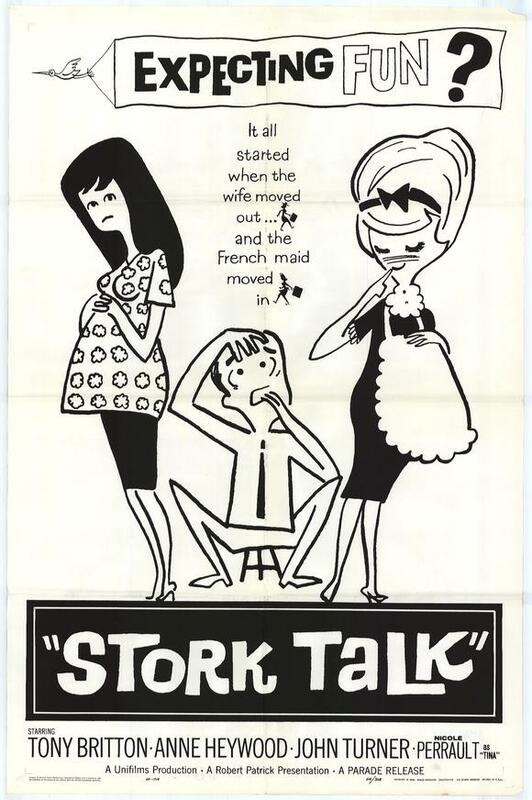 One of many British films made in Ardmore in the early ‘60s, Stork Talk was based on The Night Life of a Virile Potato, a play by actress/ playwright Gloria Russell and directed by New Zealander Michael Forlong. This is not an Irish story but features a smattering of Irish actors (most of them unnamed except for the inimitable Marie Kean) and some Irish crew. 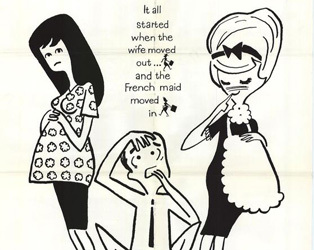 Not as ribald as the plot would suggest, here is a gentle comedy about paternity and unplanned pregnancy which just becomes more fascinating with time. 35mm print courtesy of Declan McLoughlin.